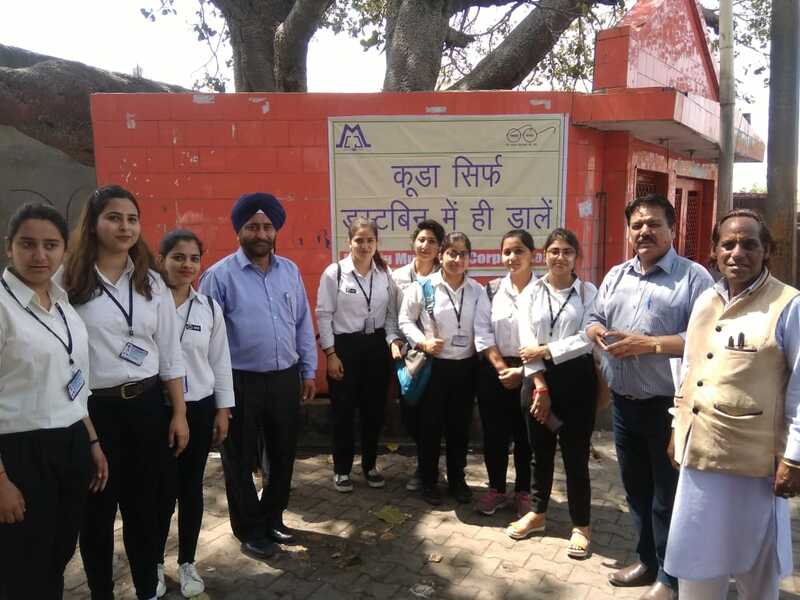 Jammu, April 05: An awareness programme was organized by Jammu Municipal Corporation regarding Solid Waste Management in collaboration with management of Maha Kali Temple, Bahu Fort and students and staff of Institute of Management Science (IMS), Jammu. All the students visited shop to shop and asked shopkeepers not to use Polythene bags as these are banned. The students and staff members of IMS Jammu were greeted to listen lecture and practical demonstration of Solid Waste by Master Jorawar Singh. They asked different questions how to prepare compost soon it possible. Ved Pal Sharma, Ashwani Sharma, Ravi Kumar installed the Banner at different sites surrounding Mandir so that the visitor should not use polythene bags and other items required for worship. Shopkeepers and local supported the movement of Solid Waste Management and escorted to the different places where awareness is required. Dr. Zaffar Iqbal, Nodal Officer, SWM JMC has appeal to the general public of Jammu City that JMC has taken the step in collaboration with Mandir Committee, Bahu Fort for complete ban on polythene carry bags in the premises of Bahu Fort w.e.f 04.04.19. If any person found with polythene carry bags, he will be booked as per the sections of Jammu Municipal Corporation Act 2000. He also appealed to every devotee not to use plastic/polythene bags for carrying Prasad, garland or any other material in the temple premises. Next articleNASA tests rocket engine for Moon mission.